Chartwell — the home of Winston and Clementine Churchill and their children. It is the second most visited site in Britain and redolent with history. It is a homey and comfortable house and the photographs tell the story as no book of potted TV series can, of the immense role this man and his wife played in shaping the destiny of our planet during the first half of the last century. The Weald welcomes one and from the terrace one can see for twenty miles across forests and fields. As I stood and gazed I am sure that I like many thousands of others couldn’t help but think of the famous men and women who had stood there too. Hatfield House — home to Henry VIII’s three children including the future queen, Elizabeth. To see the Elizabethean knot garden in front of the ruins of the original house and wander in the ascension garden where Elizabeth first heard of her ascension to the throne of England is truly to walk in the footsteps of history. There is Petworth with its original Chaucer manuscript of “The Canterbury Tales”. The idyllic hamlet of Bosham on the coast near Portsmouth, with a tiny church that reputedly was the place where King Canute worshipped, and which is featured on the Bayeaux tapestries. The gardens of reknown horticulturists Beth Catto and Christopher Lloyd. Charleston the farmhouse and gardens of Vanessa Bell (artist sister of Virginia Woolf) and keystone of the Bloombsbury circle. 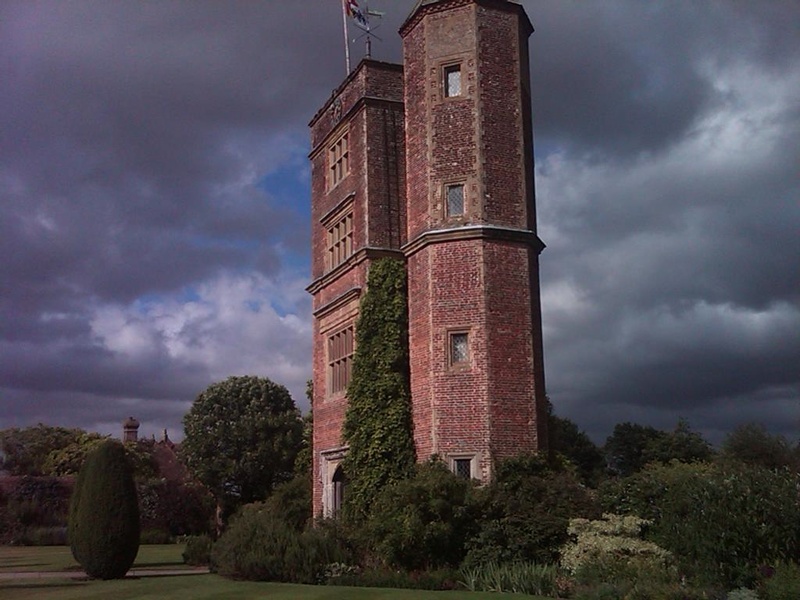 And then there is the garden at Sissinghurst, the creation of diplomat Harold Nicholson and his literary wife Vita Sackville-West. 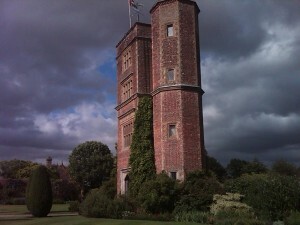 There is nothing I can say about Sissinghurst that is not a superlative. 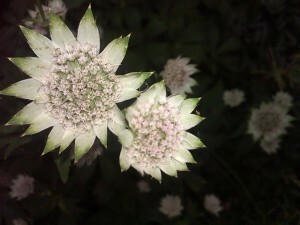 Here are two photographs that speak for themselves, one a plant astrantia major from Vita’s famous white garden and the other of “my pink tower” as she called the centuries old tower that houses her writing/sitting room filled everyday with fresh flowers, as if patiently anticipating her return. Magic. Like the entire two-week experience. Thanks for sharing these useful information! Hope that you will continue doing nice article like this. I will be one of your loyal reader if you maintain this kind of post!This is one of the best post I found so far. The contents are very good and very informative.I subscribed to your RSS feed by the way!Thanks, this is really cool! Thanks for any other informative website. The place else could I get that kind of information written in such an ideal way? I have a project that I am simply now operating on, and I have been at the glance out for such info. Hey, Nice work! This is my first time i visit here. I discovered so numerous fascinating stuff in your blog. Excellent blog! Do you have any helpful hints for aspiring writers? I’m planning to start my own website soon but I’m a little lost on everything. Would you propose starting with a free platform like WordPress or go for a paid option? There are so many choices out there that I’m completely overwhelmed .. Any suggestions? Bless you! Hey I think you have a great blog going here, I found it on Bing and plan on returning regularly for the information that you all are providing.|Thanks for making my morning a little bit better with this great article! Groovy article I enjoyed it. Someone else once said: Exercise the writing muscle every day, even if it is only a letter, notes, a title list, a character sketch, a journal entry. Writers are like dancers, like athletes. Without that exercise, the muscles seize up. Great post, I think website owners should acquire a lot from this blog its very user genial. So much great info on here :D.
Hiya, I’m really glad I’ve found this info. Today bloggers publish only about gossips and net and this is really annoying. A good blog with interesting content, this is what I need. Thanks for keeping this web site, I will be visiting it. Do you do newsletters? Can’t find it. Thanks for an unbelievable put up, would examine your others topics. i appreciate your ideas on this, I really felt a lttle bit strike by this text. Many thanks again! You make a great time. Portrays natures best by the excellent data here. I feel that in case a greater number considered it like that, they’d have a better moment in time get the grasp ofing the matter. This is absolutely a topic thats close to me so Im happy that you wrote about it. Im also happy which you did the subject some justice. Not only do you know a great deal about it, you know how to present in a way that men and women will wish to read a lot more. Im so happy to know an individual like you exists on the web. Howdy, i’m Young Durre and I have to say that ” 50 Sissinghurst, English garden jewel | 50janetlevine.com ” definitely is a remarkable piece of writing. Hello, I read your new stuff on a regular basis. Your story-telling style is awesome, keep doing what you’re doing! Hi, my name is Young Pinard and I must tell you that ” 50 Sissinghurst, English garden jewel | 50janetlevine.com ” is without question a remarkable piece of writing. Dead written subject matter, Really enjoyed looking at . I agree. I bet they wished they never saved it. It can be a bad dog that ran away and they saved a dog that probably should have been put down. We don’t know the whole story. Woh I love your articles, saved to my bookmarks! I’ve to say, I dont know if its the clashing colours or the dangerous grammar, however this blog is hideous! I mean, I dont wish to sound like a know-it-all or anything, but might you will have possibly put just a little bit more effort into this subject. Its really attention-grabbing, but you dont characterize it effectively at all, man. Anyway, in my language, there usually are not much good source like this. Hi there all of us. I used to be just surfing the net for exciting and arrived upon your website. Great article. Thank you an awful lot for sharing your go through! It will be superior to grasp that a number of people even now place in an work into taking care of their online resources. I will be sure to look at back again from time totime. I not to mention my guys have already been following the nice techniques found on the website then all of a sudden I got a horrible feeling I had not thanked the blog owner for those techniques. My women became as a consequence thrilled to study them and have seriously been using them. Thank you for being really accommodating and then for utilizing this kind of very good information most people are really eager to understand about. My personal honest apologies for not saying thanks to sooner. Do you mind if I quote a few of your posts as long as I provide credit and sources back to your blog? My blog is in the exact same niche as yours and my users would definitely benefit from some of the information you provide here. Please let me know if this okay with you. Thanks a lot! Thanks for sharing this opinion. Thanks for posting. I think you are right. Very helpful information .. I really like what you had to say.I thought it was going to be some boring old post, but it really compensated for my time. Aw, this was a really quality post.. Took me awhile to read all the comments, but I really love the article? Do you have a spam issue on this blog; I also am a blogger, and I was wanting to know your situation; we have created some nice methods and we are looking to swap solutions with other folks, please shoot me an e-mail if interested. Everyone loves what you guys tend to be up too. This type of clever work and exposure! Keep up the excellent works guys I’ve added you guys to our blogroll. Hello There. I found your blog using msn. This is an extremely well written article. I’ll make sure to bookmark it and return to read more of your useful info. Thanks for the post. I will definitely comeback. What i don’t realize is in reality how you are now not really much more neatly-liked than you may be now. You are very intelligent. You realize thus significantly in the case of this subject, made me for my part consider it from a lot of varied angles. Its like men and women aren’t fascinated unless it’s one thing to accomplish with Woman gaga! Your own stuffs outstanding. All the time handle it up! First of all I would like to say terrific blog! I had a quick question in which I’d like to ask if you don’t mind. I was interested to know how you center yourself and clear your mind before writing. I have had a hard time clearing my thoughts in getting my ideas out. I do enjoy writing however it just seems like the first 10 to 15 minutes tend to be lost just trying to figure out how to begin. Any ideas or hints? Thanks! Hello! very nicely done and good content! keep it rolling and best of luck! I simply desired to thank you so much yet again. I do not know the things I would have sorted out without the basics documented by you regarding such a field. It was the scary dilemma in my circumstances, but coming across the very well-written tactic you dealt with that forced me to leap with joy. I am happier for your support and even wish you comprehend what an amazing job that you are doing instructing many people through the use of your webblog. More than likely you’ve never got to know all of us. Google - Google One of our visitors a short while ago proposed the following website. Google - Google Here are several of the websites we suggest for our visitors.